A Maryland man stole a U-Haul van with the intent of using it as a weapon in an ISIS-inspired plot against pedestrians at National Harbor, the U.S. Attorney's Office in Maryland said. Rondell Henry, 28, of Germantown, harbored hatred of non-Muslim people for two years, according to prosecutors. He walked off his job March 26 with the intent of driving in to pedestrians, prosecutors said. He drove around the D.C. area looking for a vehicle bigger than his to use and followed a leased U-Haul van into a mall garage in Alexandria, Virginia, where he stole it. The person who rented the van reported seeing a car follow the van off Interstate 395, onto mall property and into the garage, parking a few spaces away, prosecutors said. Police learned that car was registered to Henry. 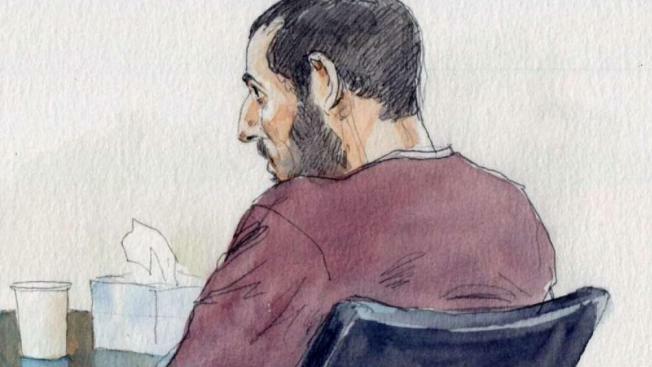 According to prosecutors, Henry drove the van to Dulles International Airport about 5 a.m. March 27 but didn’t find a big enough crowd to satisfy his plot. Instead, he entered the terminal and tried to breach security by attempting to slip in behind a person who had been cleared and by studying a security checkpoint for weaknesses. He thought an attack there would get a lot of attention, prosecutors said. After two hours he went back to the U-Haul and plotted again to drive into a crowd, prosecutors said. He reached National Harbor about 10 a.m., parked the van and scouted the area for a place to attack, prosecutors said. He decided to wait until the crowd got bigger and broke into a boat to hide overnight. Police found the van at National Harbor March 28 and waited for him, prosecutors said. Police arrested Henry after seeing him leap over the security fence at the boat dock. Henry is charged with interstate transportation of a stolen vehicle and faces 10 years in prison if convicted. Prosecutors filed a motion to keep Henry in custody as a flight risk. At a hearing Tuesday afternoon, a judge ordered Henry remain in custody without bond until the next hearing. Henry's attorney says his client's rights were violated by the government for interrogating him for hours and then having him committed to a psychiatric ward without giving him a change to see a lawyer or contact family. ISIS claimed responsibility for the July 2016 attack in Nice, France, in which a terrorist drove a truck into a large crowd, killing 86 people and injuring hundreds more.